The city’s largest and most iconic indoor sports venue is opening its doors for a free-entry Community Legacy Day this Sunday. 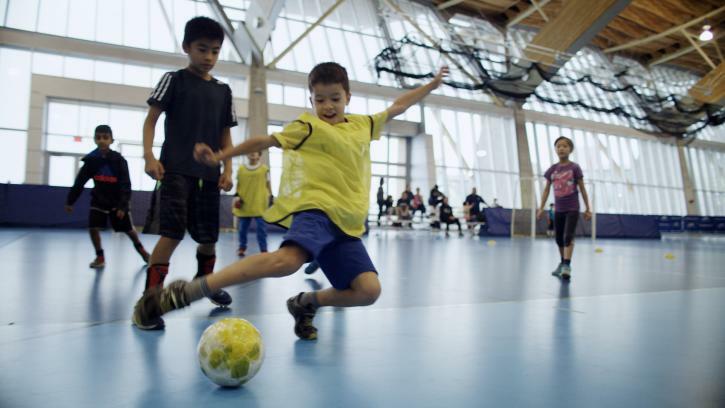 But while the Richmond Olympic Oval has a full day of family-friendly activities planned, it’s also a chance to celebrate the riverfront landmark’s 10th anniversary. The official Speed Skating venue at the 2010 Winter Olympics, the Oval first opened its doors in December 2008. One of most impressive facilities of the 2010 Games, the giant complex with the curved roof has had a busy life since then, embraced by locals as a state-of-the-art sports and activity hub. The facility’s jam-packed Community Legacy Day runs from 10:00am to 5:00pm on December 9. Special activities range from film screenings to wheelchair basketball demonstrations and from Olympic Experience Museum access to a unique Passport Challenge. Click here for a full rundown of the day’s activities. We chatted with Andrew Clark, the Oval’s Manager of Fitness & High Performance Training, about the event on December 9 as well as the site’s enduring role in the life of the city. Tourism Richmond (TR): Tell us about some of the activities you’re looking forward to on Sunday? Andrew Clark (AC): We’ll be setting up the 2010 Olympic Podium where visitors can put on our replica medals for photos. Olympians Darcy Marquardt, Richard Hortness, and Evan Dunfee will also be here for autographs and photos. And there’s an opportunity to try speed skating with the Richmond Rockets Speed Skating Club—plus a Holly Jolly Family Skate with Santa himself! We’ll also be showcasing our RIDE Cycling Classes, with a variety of power tests, hill climbs and intervals. Spaces are limited for these classes: email jstokes@richmondoval.ca to reserve. TR: What’s the Passport Challenge all about? AC: It gives us a chance to showcase the wide array of programs we now offer under one roof. Attendees can visit stations around the facility and collect stamps along the way. They’ll be able to try Olympic and Paralympic sports and also learn about the Olympic movement and the history of sport in Richmond. They can also enjoy hot chocolate and decorate gingerbread cookies. If you complete the Passport Challenge, you’ll be entered into a grand prize draw. TR: The Oval is 10 years old this December. How important has the facility become to the local community? 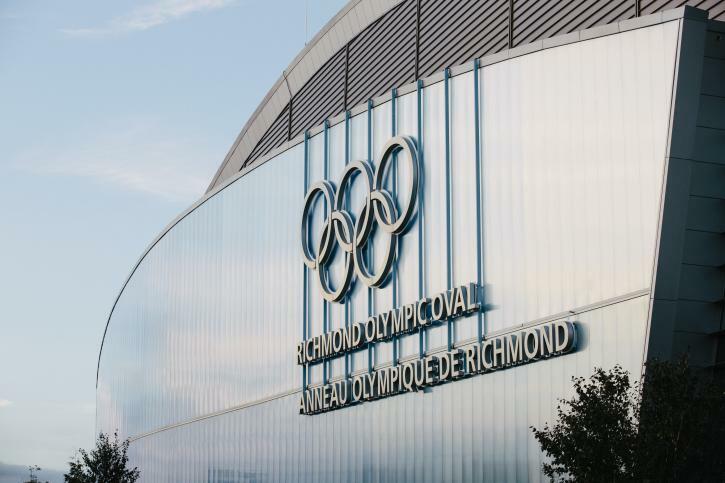 AC: We’re continuing to realize our vision of being a world class Olympic venue that leaves a lasting legacy and becomes an enduring asset to Richmond. With more than one million visitations per year, we’re a desired location for community sport, health and wellness programs. We’re also a training and competition facility for high performance sports plus a centre for culture, community, and entertainment events. TR: How do you see the Oval developing over the next decade? AC: It has been ten years since our doors first opened, and our legacy continues to grow. Our facilities, programs, and services are continuing to evolve to meet the needs of our members and clients. And we are excited to be one of the centrepieces of a community that has developed alongside us. Our aim is to continue to help Richmond residents achieve their fitness, health, and performance goals! TR: Finally, why should people come to the Community Legacy Day on Sunday? AC: It’s going to be a fun, active, and inspirational event for the whole family. It’ll be a one-stop-shop for trying new sports and activities, meeting some of Richmond’s Olympic heroes, driving a bobsleigh simulator, and learning about the Oval’s unique success as an Olympic legacy venue.